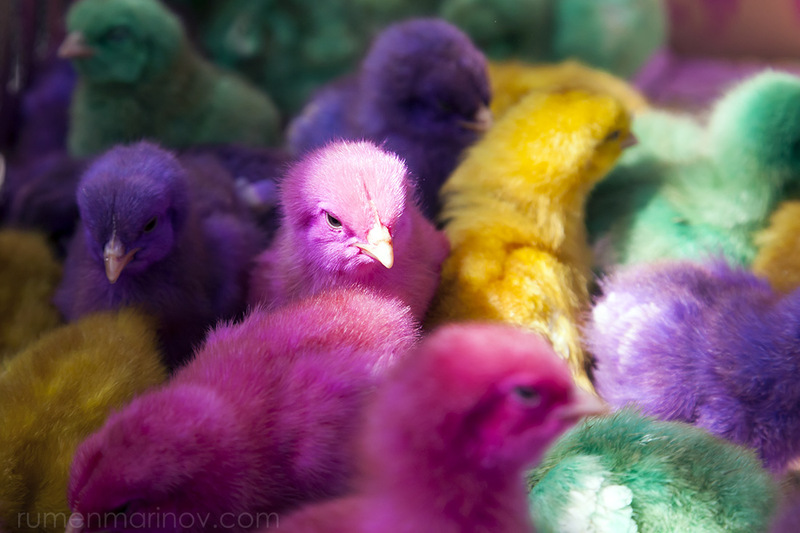 Easter Chicks which I saw at a popular market in Yogyakarta, Indonesia. People were buying them by the dozen for their children, sellers stuffing them into paper bags. The chicks looked tired and very unhappy.